The Series 9000 Solution For Your Snow Problem! This video was taken during -22°F snowy weather. Note that during the Winter snow season we recommend dropping the prescreen down the pipe to allow the snow to process through the precleaner and avoid build-up on the prescreen (reattaching the prescreen in the Spring). [continue reading] The Series 9000 Solution For Your Snow Problem! 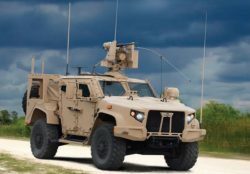 Joint Light Tactical Vehicle (JLTV) Video from Oshkosh Defense on Vimeo. Hummer Owner adds Series 9000 prior to 1,500 km of Australian Outback Dirt! Wayne, known as “Nugget” on the HummerXClub forum, was about to leave for a 6,200 kilometer (3853 miles) trip through the Australian Outback. 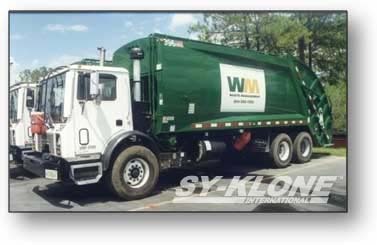 His trip included 1,500 kms (932 miles) of dirt, so he knew it was time to “bite the bullet” and install a Sy-Klone Series 9000. [continue reading] Hummer Owner adds Series 9000 prior to 1,500 km of Australian Outback Dirt! Customers Love the Series 9000 Air Precleaner. For more than 20 years, customers have been telling us what a great product the Series 9000 is. Here is what our customers are saying. [continue reading] Customers Love the Series 9000 Air Precleaner.